Landolt & Cie SA specialises exclusively in wealth management. The bank is present in Switzerland only. 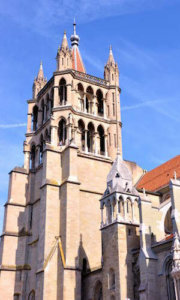 Its headquarters are in Lausanne, with branches in Geneva and Martigny, and two offices in Crans-Montana and Verbier. In 2016, the Landolt and Lombard families joined forces to ensure the continued development of Landolt & Cie SA as a private bank specialising in wealth management for Swiss and international clients. As a family business with an entrepreneurial spirit, Landolt & Cie SA offers its clients bespoke services to accompany them over the long term.